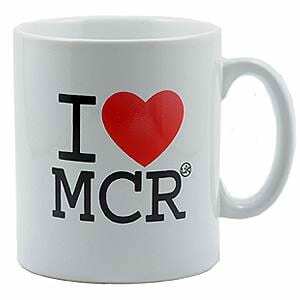 Despite being a proud city of people who generally love Manchester, there are a few places even we struggle to defend. Yes, I am talking about the dump that is Piccadilly Gardens. It’s scruffy, full of chains and fearless pigeons. But amidst the chaos, a glimmer of hope has emerged. I’ll knock off with all the doom and gloom now. 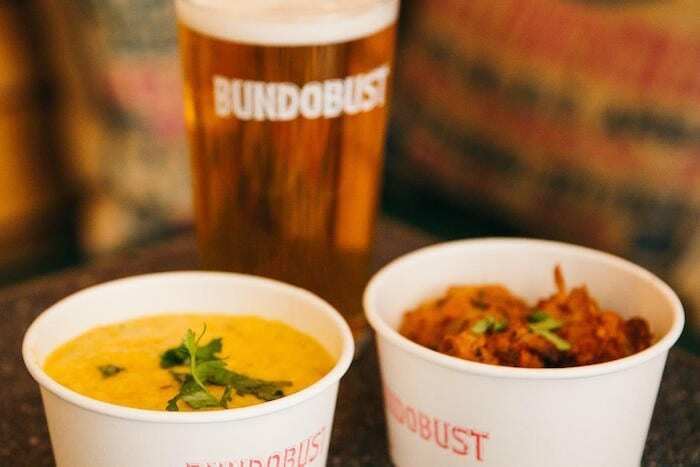 Leeds legends Bundobust have opened in Manchester, in what at first seems like a terrible location – until you go there. Take the inviting staircase down underneath the gardens and you’ll find a foodie sanctuary with which the likes of even the Northern Quarter can’t compete. 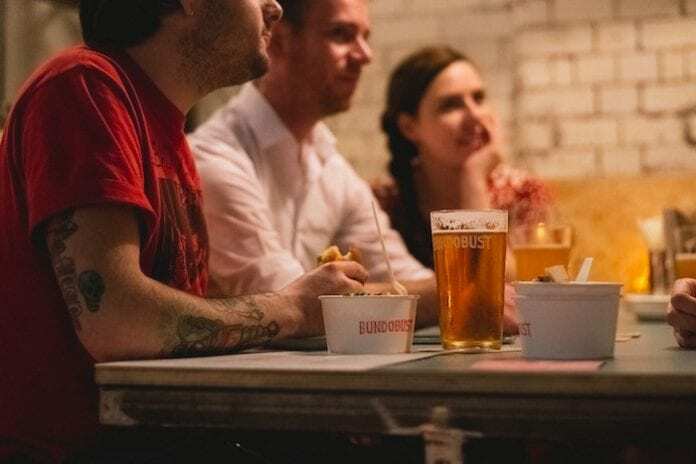 Bustling with the vibrancy of an indoor street food market, Bundobust are just doing their thing. No drama and no rough edges. It’s the real deal and are we are glad to see it open. Long, canteen-like tables fill this vast space. A skylight lights up the restaurant in the day and offers perspective on just what a difference a few metres can make. Mark Husak of The Sparrow Bier Cafe in Bradford has brought a beer game to rival any other bar in Manchester. While the likes of Magic Rock and Vocation dazzle, we opted for the Bombay Dazzler – a collaboration between Bundobust and Northern Monk that blends spice and herbal notes with an easy-drinking and refreshing pale ale. 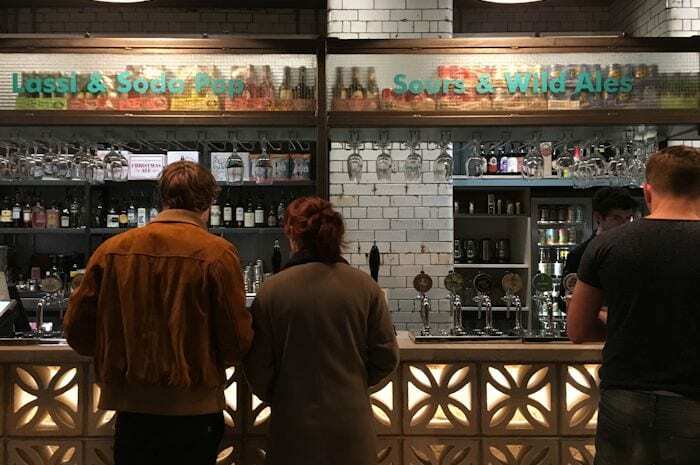 In fact the bar is so good you might wish that there was more space dedicated solely to drinkers – something their flagship Leeds restaurant focuses on. However, the chances of not wanting to actually eat are almost impossible. Co-founder Mayur Patel has brought vegetarian recipes passed on from his parents and grand-parents to the masses, delighting veggies and surprising meat-loving maniacs like myself. Having ordered almost all of the small plates, let’s start with the stars of the show. We all loved the Orka Fries, crispy but not hard and crunchy, with a stunning black salt & mango powder coating. The Onion Gobi Bhaji Bhaji’s and the Bundo Chaat also hit the spot, and despite sounding like fairly rudimentary dishes, the Bundo Chaat in particular shows how clever Bundobust have been in combining textures and spice to create truly flavoursome and addictive plates. The Massala Doga again combines a soft potato and onion dry fry in the resounding crunch of mini rice crepes, accompanied by a lentil soup and coconut chutney. Perhaps it was over-eating, but the Vada Pay burger was the only thing that passed me by. Billed as Mumbai’s favourite burger, the fried mash potato ball between a brioche bun was just a bit too heavy and dense for my liking – I was hoping for the winning combination of textures again. But once you start to question items like the burger you have to remember where you are. As a meat-eater who rarely dines out on veggie grub, this was an eye-opener. As some have remarked about V Revolution in the Northern Quarter, the most enjoyable and impressive items are those that don’t attempt to mimic meat-based dashes, and that’s certainly the case here. At no point did I long for meat during my time at Bundobust. The skill and imagination that has gone into a menu like this deserve all the recognition its receiving. 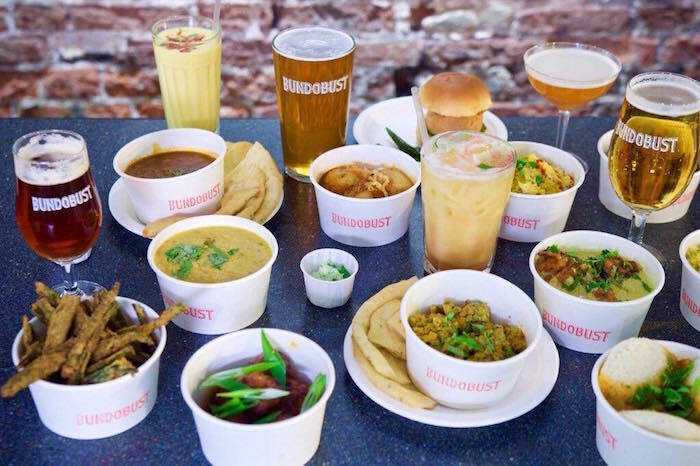 Bundobust have hit the ground running. With two experts excelling respectively in food and drink, it’s time for Manchester to look past marsala and experience something that you wouldn’t find on a local takeaway menu.